As graphic designers expanding our skill set is a must to catch-up with the ever changing world of design. Not only for the reason that adding another skill is essential to our work but it can also open up the possibility of making that specific skill as another source of income. In our feature article: Small Businesses that Complement your Graphic Design Day Job, we mentioned that doing photography on the side can also be another way to generate income. Today we are featuring some of the best photography books in the market that will not only help you to shoot better, but also help you create more stunning and interesting photos to help in attracting more costumers raking in more bucks. Despite the title, The Digital Photography Book is not your bland and boring photography book that talks about the technical aspects of photography. Instead this book is more like a tip/what to do book, with a light humorous approach this book is an easy read. The book covers various subjects like weddings, landscapes, sports, nature, travel and portraits and the how-to tips/techniques of shooting it. 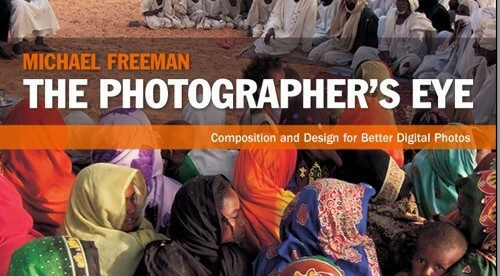 This book offers the holy trinity of photography (aperture, shutter speed and lighting), it also talks about making better composition, understanding depth of field further and other aspects of photography. The book also features a vast number of pictures to help illustrate the Bryan Peterson’s concepts but the icing on the cake is his exercises throughout the book that encourages its readers to put their the thing that they have learned in this book through a test. To those who have mastered the fundamentals and has been doing photography for quite a handful of years but still couldn’t get a steadier footing in the market they should check out this book. Successful Self-Promotion for Photographers tackles marketing and promotions in building a photography business. The book also shares an in depth coverage of award winning strategies to keep you fueled for your drive to success. For those who are planning to purchase their first set of external flashes (or speedlights as photographers call it) should also get this book. Joe McNally chronicles his adventures and misadventures on commercial shoots and shares his solutions to creative problems that was presented to him during the shoot. What sets this book apart from other photography books is that Joe McNally has been never afraid to tell you that his solutions were not at best and he confesses that there are some assignments where he missed great shots making this book a less intimidating read. This book is perhaps relates well to graphic design best because it doesn’t talk much about the technical aspects of photography, but it tackles one of the most important factors in creating a stunning image which is Composition. With stunning images to aid the author’s point digesting the information is not hard and it makes the reading experience of this book an impressive one. As previously stated, graphic designers should be able to update themselves whether through skills or to design trends to accommodate the ever changing scene of graphic design. The same saying goes to those who are into photography. Reading these books will not make you an overnight photography genius but coupled with practice and hard work you will see a great improvement in your body of work. What do you guys think? Tell us your thoughts at the comments below! Do check us out in Facebook, Twitter and Google+ also do not forget to subscribe to get first dibs in all things awesome.